Listed here are helpful answers to some of the most frequently asked questions regarding the Free College benefit and our current online program offerings. For more information or additional support, call us at 888-590-9009. What is the Free College Benefit? First Launched by AFSCME in 2015, The Free College Benefit is an investment in you and your future. With the Free College Benefit union members and their families do not have to pay out of pocket for tuition, fees or e-books for certain online programs at Eastern Gateway Community College—resulting in cost savings of thousands of dollars! The benefit works as a “last-dollar scholarship”, or grant, through Eastern Gateway Community College. It fills the gap between any federal, state or employer education grants you receive and the cost of tuition, fees and e-books for certain online degree programs at Eastern Gateway Community College. While it is free, it does require your time and attention. A The Free College Benefit is open to members of participating unions in good standing, who are full dues-paying members, retired members and their families. Family is defined as spouses, domestic partners, children, stepchildren, children-in-law, dependents and grandchildren. Potential students’ membership will be verified by their union. Note: Retired union members (who retired in good standing) and their families are also eligible. It is for real and students have been taking advantage of this great opportunity since Fall 2015 when AFSCME first launched the program. Over 9,000 students from multiple unions have enrolled at EGCC through this program and more than $20,000,000 in scholarships have been awarded! Eligibility requires that potential students complete the Free Application for Federal Student Aid, as well as apply for and use any employer or military tuition reimbursement or assistance for which they have eligibility. Once the FAFSA is completed, additional documentation may be required for a process called verification, which is directed the US Department of Education. All members must comply with the document requests by EGCC in order to complete the financial aid process to determine eligibility for federal aid. Can out of state students take EGCC classes? EGCC is an open-access college, which means you only need to have a high school degree or GED equivalent to be accepted to the EGCC degree programs. Your previous grades do not matter and no entrance exam or placement test is required. To receive the Free College Benefit, Union Plus members (or their family members) who want to enroll in EGCC’s online programs will need to complete the following steps. Members can also call 888-590-9009 to begin the enrollment process. Complete the Free Application for Federal Student Aid (FAFSA) and submit any required verification. Any grant award must be applied to the tuition, fees and e-book charges at EGCC. Agree to use any employer tuition assistance. Verify High School or GED completion by submitting proof of High School graduation or GED completion to EGCC. Students who are currently in default on their Federal student loans must take steps to rehabilitate their loans in order to receive the Free College Benefit. Students are invited to call the EGCC Financial Aid office for help on this subject at 740-266-9619. They can also call directly to the U.S. Department of Education 800-621-3115. Submit an inquiry form to the college and begin the application process. You may also call 888-590-9009 to talk to an enrollment advisor. To apply to EGCC go to www.egcc.edu. Click on Apply Now on the top right of the page. When applying please only check the box for your Union Plus or union. You then need to complete the FAFSA at www.FAFSA.gov. This will take 30 minutes to an hour. Please plan to have your tax and employment history handy, and be sure to enter EGCC’s school code to have the information sent to EGCC. The school code is 007275. Students must submit proof of High School graduation or GED completion. This can be official or unofficial transcripts or a copy of your High School diploma. If you would like to have previous college credits reviewed for transfer to EGCC, you will need to send us official copies of those transcripts as well. Once we have all of those items, we will ask you to set up short phone appointment with an advisor to register for your classes. This takes about 15 minutes. Why do I have to complete the FAFSA if it’s free? While the Free College benefit means you can attend EGCC with no out-of-pocket cost, it does require an investment of your time and help. The Free College benefit is a last-dollar scholarship; therefore, you are required to first use any federal or state aid you may receive toward your tuition, fees and e-books. This means it is free to you and there is no out of pocket cost for tuition, fees, or e-books. The “last dollar” scholarship means it covers the difference in what you have available for grants in state or federal aid, and the tuition, fees and e-books at EGCC. It does not cover pencils, computers, computer access, internet, etc. It also does not cover parking or professional fees, etc. What is FAFSA Verification and do I need to complete verification? A The U.S. Department of Education selects approximately 30% of all FAFSA applicants for a process called verification. Verification is how the Department of Education requires EGCC to confirm the accuracy of the data reported (or not reported) on an individual student’s FAFSA. During the verification process, information reported on the FAFSA is checked for accuracy against documentation submitted by the student and/or their parents. An application may be selected for verification at any time throughout the award year. Compliance with this verification procedure is required to remain eligible for the scholarship. Your union defines who can take advantage of the scholarship and your union verifies membership and eligibility. Spouses or domestic partners (someone living with you in a committed relationship), your children, children in law, grandchildren and financial dependents all can take advantage of the benefit. A financial dependent is someone for whom you have financial responsibility. EGCC does not assess the level of financial dependence or the definition of domestic partner. A Once you receive the Free College benefit to cover the cost of tuition, fees and e-books at Eastern Gateway Community College, you must comply with all academic, conduct, attendance and financial aid policies as required by the college, the state of Ohio and the U.S. Department of Education in order to continue to receive the benefit for each semester in which you enroll in classes toward your degree. You must also continue to be a full dues- paying member of your union (or an eligible family member). You are also required to complete the FAFSA, including any required verification, for every new academic year. Your previous academic record does not affect whether you initially can receive the Free College benefit. EGCC is an open-access college, which means you only need to have a high school degree or GED equivalent to be accepted to the EGCC degree programs. There is not placement exam or entrance exam required. However, once you are enrolled as student at EGCC, the college requires that students meet Satisfactory Academic Progress (SAP). The definition of this can be found on EGCC’s website, from your advisor, or your instructor. A student must maintain at least a cumulative GPA of 2.0 and successfully complete 67% of courses attempted in every semester. Will I ever have to pay any of the scholarship back? A No – There is a no claw back provision based on success or residency. Are union dues used for this? 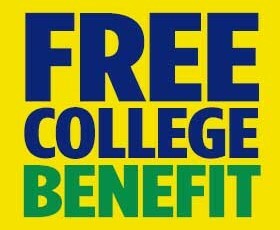 A The Free College Benefit at EGCC does not require a placement test. However, if you are worried about how you will handle college level courses, your advisor can work with you on which classes to choose, as well as some resources to help you get ready for courses. Eastern Gateway Community College is a public, open-access college with locations in Steubenville and Youngstown, OH. The college is part of the University System of Ohio, governed by the Ohio Department of Higher Education and regionally accredited by the Higher Learning Commission, the accreditor of most public and private institutions in the Midwest. EGCC is committed to innovation and increasing quality educational opportunities for students in all across the country. The staff of EGCC is union represented by the Ohio Education Association. I am confused by the FAFSA. Can you help? EGCC is happy to advise you on how to fill it out. Students are invited to call 888-590-9009, or review the information on the US Department of Education FAFSA website. There are many other resources on the U.S. Department of Education website. There is NO CHARGE for the FAFSA (if you encounter a charge, please call us so that we may re-direct you to the correct site). Please plan to allow an average of 30 minutes for completion. Is there a time limit on the Free College Benefit? A No. The Free College benefit is an individual scholarship and amounts vary based on the student’s cost of tuition, fees and e-books at EGCC. The scholarship will be renewed each term as long as the student (or the family member) is a full, dues-paying union member, and the student maintains satisfactory academic progress as defined by EGCC and the U.S. Department of Education for federal financial aid. As long as the student is actively participating and working toward their degree, there is no time limit for degree completion and students may pause their studies between semesters. Students must, however, complete the FAFSA and any required verification, for each new academic year. What if I am not successful in my course? As long as you complete all required verification for FAFSA and you attend and participate in your classes as required by the instructor and the college, the Free College Benefit will cover the cost of your tuition, fees and e-books at EGCC. All accredited colleges, including EGCC, have attendance and academic policies students must follow. Attendance for online classes is different than in face-to-face classes. You attend by logging in to your class and completing assignments and quizzes. You must complete at least one quiz or one assignment within the first week of class so that EGCC knows that you intend to be in the class. If you aren’t able to do so, you will be dropped from the class for non-attendance. If you believe you are dropped in error, you will need to contact an advisor who will determine whether you can be added back in. If you have any difficulties logging in, please send an email to tshelp@EGCC.edu and someone will follow up with you. You may also call us at 888-590-9009. A As long as EGCC has your current year FAFSA and any and all required verification forms, and you follow the rules of the college, you won’t incur a bill for your tuition, fees or books. You don’t have to stay with the union or your job for any set time period – you just need to be a member in good standing or an eligible family member at the time you start your classes. You don’t have to pay back the scholarship if you move out of the union, or your job. What if I don’t want to use my Pell for this? A The Free College benefit is a last-dollar scholarship; therefore, you are required to first use any federal or state aid you may receive toward your tuition, fees and e-books. If you do not want to use your federal or state aid, you can still enroll in EGCC, but you will not be able to receive the Free College last-dollar scholarship to cover the difference for tuition, fees or e-books. A Only the U.S. Department of Education and EGCC will know your grant status. Your privacy is protected. What if I do not qualify for any federal financial aid? Even if it is determined that due to income levels, the student is not eligible for federal or state financial aid, or not eligible for employer grants or tuition reimbursement benefits, a last dollar scholarship will be applied to any remaining balance for tuition and fees at EGCC. The cost of e-books is included, so students will have no costs other than internet access and equipment (computers, software, etc.). What if I don’t have tuition reimbursement through my work? A Then the last-dollar scholarship will still apply. What if I do have tuition reimbursement? A Please check with your employer as to the details on how it works. We will work with you to ensure compliance. Do I have to apply any other scholarships or benefits for which I am eligible to my tuition, fees or e-books at EGCC? A If you are eligible for Veteran’s education benefits or tuition reimbursement through your employer, we request that you apply those benefits toward your enrollment at EGCC. What do I need to submit as proof of High School graduation or GED completion? A New students can begin the semester at EGCC by completing and signing a form that says where you have a graduated or completed. They then have until the beginning of the next semester to submit the official proof of completion, which can include official or unofficial High School/GED transcripts OR a copy of your diploma OR official college transcript showing Associate Degree or higher. EGCC reserves the right to independently verify graduation or completion. What if I graduated in a foreign country? You will need to have your transcript evaluated and translated by an official education evaluation service. Of example is the service World Education Services, www.WES.Org. Any related cost for the transcript is not covered by the scholarship. If you have difficulties obtaining your transcript, please give us a call back to discuss your individual situation. Do I need to send in my college transcripts? A Yes, please send in your official college transcripts in order for them to be evaluated for transfer credits to EGCC. If you do not need them evaluated, you do not need to send them in. A To be eligible for the scholarship, which is a form of financial aid, you must enroll in a degree program at EGCC. However, the programs are flexible and you can take one class at a time. What if I need to discontinue my studies? A A student may withdraw from a class prior to the withdrawal deadline each semester. Students are required to contact the financial aid office prior to withdrawal deadline in order to see what impact it might have on their financial aid and/or scholarship. Why is Union Plus offering this benefit? A One of union member’s biggest concerns is the cost of college. Today, only half of Americans who begin college will be able to finish, largely due to financial and work/life barriers. With this benefit, unions have found a way to help members and their families begin to alleviate this worry. Why are unions partnering with Eastern Gateway Community College? A This program started successfully with labor unions in Ohio. The demand from members was so great that more unions wanted to provide the benefit to union members and their families. EGCC, which is organized by the Ohio Education Association, is committed to helping adult and returning students be successful in earning their degree, which can lead to expanded career opportunities. Can I use this benefit at a college other than EGCC? A No. The Free College benefit is supported by Eastern Gateway Community College, who is investing in you and your future. It is not transferable to other colleges. I already have an Associate Degree. Does this benefit extend to a bachelor’s degree? A We are working to extend the benefit to a bachelor degree program. Please check back for more information. I don’t live in Ohio. Why should I earn college credit at EGCC? Eastern Gateway Community College is one of the fastest growing community colleges in the country. EGCC is regionally accredited and regulated by the Ohio Department of Education. Credits earned at EGCC can be transferred to other institutions across the country. The staff at the college is committed to helping students determine the right course of study that will help them continue their work at a college closer to their home. The state of Ohio participates in the State Authorization Reciprocity Agreement (SARA). 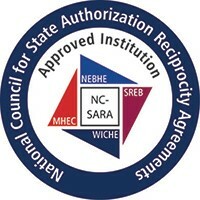 SARA is an agreement among member states, districts and territories that establishes comparable national standards for interstate offering of post-secondary distance education courses and programs. It is intended to make it easier for students to take online courses offered by post-secondary institutions based in another state. SARA is overseen by a National Council and administered by four regional education compacts. EGCC operates under this agreement, which means credits can transfer easily between states. Will my previous college work or work experience count at EGCC? EGCC is committed to helping you earn your degree. Their Office of Transfer Evaluations will help you determine whether your previous college work will transfer into EGCC, and whether you are eligible for college credit for previous work experience, such as military work or public service. We understand that you have worked hard for the college credit you have earned and expect to transfer as much as you can toward your degree completion plan. Please note that due to the large volume of student transcripts submitted, EGCC may not be able to evaluate your previous college transcripts prior to the start of the semester. Your enrollment advisor will work with you to determine the right coursework with which to begin to ensure you don’t lose any time in getting started. Certain certifications, such as Police Academy and Corrections Academy work may count for a significant number of credits toward EGCC’s criminal justice degree. Be sure to ask your enrollment advisor for more information. I’m worried I won’t have time for college work. EGCC’s coursework is rigorous and meets the high standards of the state of Ohio and of its accreditor, the Higher Learning Commission. We understand that not everyone can meet the same schedule. Therefore, EGCC’s highly qualified instructors provide a flexible, online learning format that gives students the opportunity to further their education while fulfilling responsibilities to both family and your career. Classes are offered every 8 weeks during the semester. Online learning has helped many students overcome the scheduling challenges of completing their degree. However, the format is not for everyone. The following self-assessment, developed by Miami of Ohio University, may help you understand if this will work for you. Even as an online student at EGCC, you will have a support system available to aid in your success, including access to your instructor through office hours and direct communication, academic advisors, an online writing center, and free access to online tutors. I know my union is a great advocate for me and I want to officially join the union. How do I do that? A Please call your union. What if I leave my union? A You shouldn’t leave your union—they are providing you Free College! That said, if the circumstances are out of your control, EGCC won’t drop you from your current classes. You may not be able to continue to the next term with the scholarship, depending on your situation. If you are laid off, your union wants to ensure you continue to have the opportunity to complete your education. Eligibility verification happens with your union, not with EGCC. What are some of the grounds for termination of the Free College Benefit? refused to complete FAFSA or first use your available grant money. The Free College Benefit represents an investment from EGCC in you and your academic future. Your union may also determine that you are ineligible to receive the scholarship based on your membership status. I want to find out more. What do I do next? You must complete the EGCC application, the FAFSA and supply needed documentation such as a high school transcript and any verification documents required to determine federal or state grant eligibility. Your enrollment advisor can walk you through each step along the way. What are the future start dates and registration deadlines?